Readers of this blog will be excited to learn that Meraki has recently launched a new WiFi solution for small businesses in single-site locations. 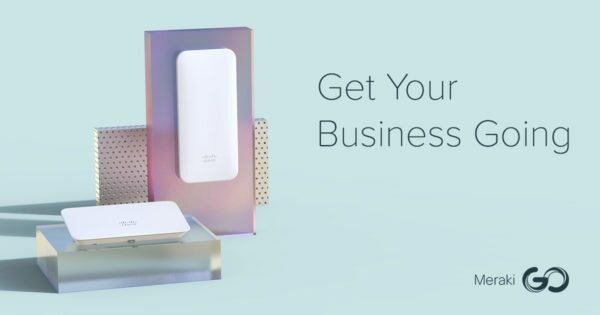 Today, we are introducing Meraki Go, a set of WiFi access points tailor-made for small and home businesses, with features to get a business going, all managed by a new easy-to-use app. Meraki Go enables small business owners to manage their own WiFi needs. With a simple guided onboarding process, users can configure multiple WiFi networks in minutes. This allows shops, restaurants, and cafes to segment their guest and corporate traffic for added security. Meraki Go users can also quickly set usage limits on applications, and block clients from accessing certain websites. This way, small offices with limited bandwidth can prioritize business traffic, and make sure video streaming doesn’t get in the way of work. As Meraki expands our product offerings, we want to make sure that we’re listening to the needs of our users. This is why we have built the Meraki Go experience from the ground up. With features made for business but an app designed for humans, Meraki Go has the best of both worlds, and we’re excited for you to try it. All Meraki Go access points will require a subscription (1, 3, or 5 years), which provides access to in-app support, as well as security and app updates. Check this out on meraki-go.com today, or watch our launch video below.